Google Chrome Withdraws Support to Windows XP Users: Google announced today that it will stop supporting Chrome on Windows XP system in April 2015 , this means that the company will stop providing regular updates and security patches. 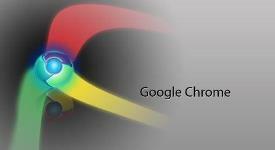 Curiously, Google will stop support to Chrome in Windows XP , a year after Microsoft stop support to Windows Xp operating system (ends April 8, 2014) , implying that Google was already planning to stop said support for your browser on the same day that Microsoft stopped support for Windows Xp operating system . The company justifies this gesture of goodwill as a safety movement , it has seen many errors in the browser , which are not fixed and are often used by criminals to put malware and infect many computers . Given the popularity of Chrome , this is a move that Microsoft should applaud, because in fact it is a movement that is to meet their interests . IE8 is still the most popular browser in the world, but this is largely due to the fact that users Windows XP can not upgrade to newer versions of Microsoft’s browser , IE8 is the last version that they can install. IE9 is only available for Windows Vista and Windows 7 . At the same time , IE10 and IE11 are only for systems Windows 7 and Windows 8 . Thus many users Windows XP , can choose to use third-party browsers like Chrome and Firefox .